The National Co-ordinating Centre for Public Engagement are running a national competition to find and celebrate high quality public engagement with research projects. Entry to the competition is now open for groups and individuals, with a closing date of 31st March 2014. Finalists will be invited to showcase their projects at an event at the Natural History Museum during Universities Week, with a £2,500 prize for the winner to develop or share their engagement work with others. Across the UK researchers are engaging the public in lots of different ways and for lots of different reasons. We want to recognise and reward great quality examples of public engagement in practice, and we want you to get involved. For full details see the competition details on the NCCPE site. 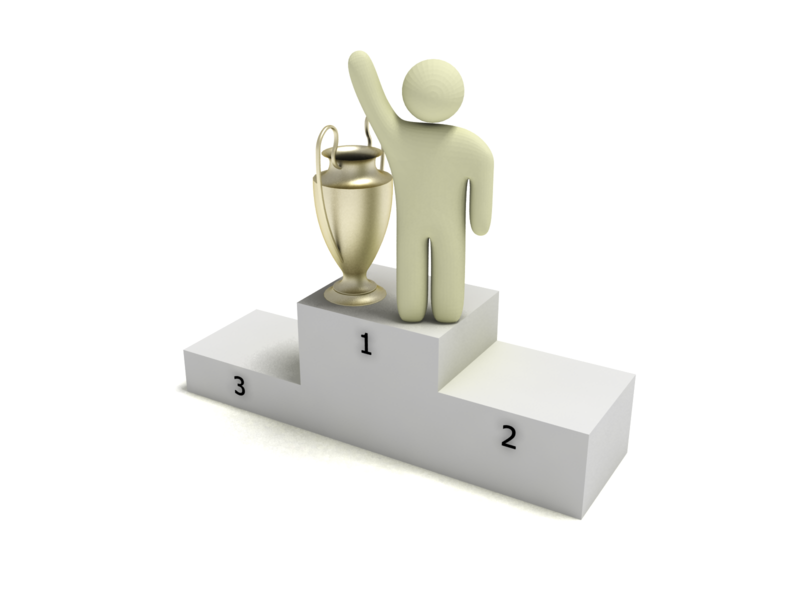 Image credit: Victory podium by Svilen.milev, via Wikimedia Commons. Posted on December 6, 2013, in Links, News and tagged Competitions, engagement, NCCPE. Bookmark the permalink. Leave a comment.